A few years ago the Royal Urban Golf Club was already in the Swiss mountains. 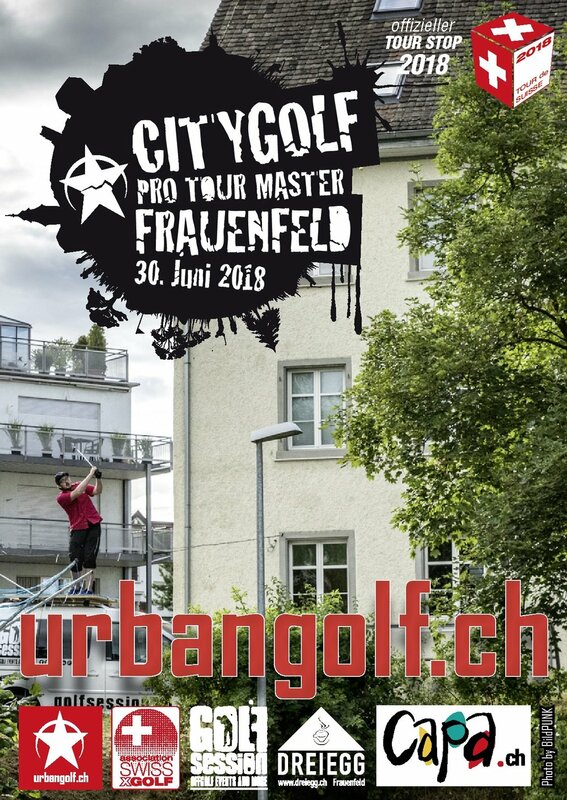 The Royal Urban Golf Club invites you all, with the club and all guests - players and non-players - plus the "World Urban Golf Day" to spend in the Swiss mountains ... Our Base Camp is located about 1,600 meters above sea. The tournament takes place in any weather! The starting places / beds are limited to 80 (non-) players! Insurance and liability is for the subscriber. On 26 June 2016, the Golf Club domain Niederreutin organized in cooperation with the Stuttgart Golf Fellas and the city of Rottenburg the first Rottenburger cross golf tournament. The association Le Trou Champenois (Le Champenois Hole) is pleased to invite you to the 3rd stage of the French City Pro Tour 2016 Saturday, June 18, 2016 in Reims. Meeting: Parking du Parc Léo Lagrange, Chaussée Bocquaine, 51100 REIMS. The next edition called HIT'M HIGH! will take place in Amsterdam on June 4th 2016. Urban Golf Unit, the organizing team, will welcome you to the industrial NDSM wharf of Amsterdam.The guys from Urban Golf Unit are notoriously off the wall. Consider this a threat and a warning ... it'll be seriously mind-blowing fun! This 8th edition of the ECSGC is also the 2nd stage of The French City Pro Tour, the french offgolf national championship. Priority registration for the French teams participating to the championship and foreign teams. MC BOX EVENTS presents the 8th edition of "Le Trophée des Gentlemen" (The Gentlemen Trophy), a Beach Golf competition, original, innovative, festive and fun. A 9-hole played in pairs : one length of 1000m ; each hole is marked by a target to touch must be achieved by a limited number of shots. By going from par 1 (40m ) to par 5 (200m) , each hole is represented by a brand or a partner who chooses its own target in his image. It's a relaxed atmosphere we expect you , curious or passionate , the first Sunday, in May 2016 the Central Hossegor beach to discover and share the practice combining technical performance, concentration and conviviality. German qualification event for the European Urban Golf Cup 2016 in Amsterdam. This year the tournament will be held in Aachen and as always only the 12 best German players will be selected. Everyone who wants to qualify for the national team to represent Germany during the EUGC 2016, has the opportunity to reserve a place for the tournament. All the national and international cross golfers are invited to make the tournament in Aachen an exciting event. The cost of 25 € include a dinner. It's a new competition organized by Street Golf Grenoble collective. 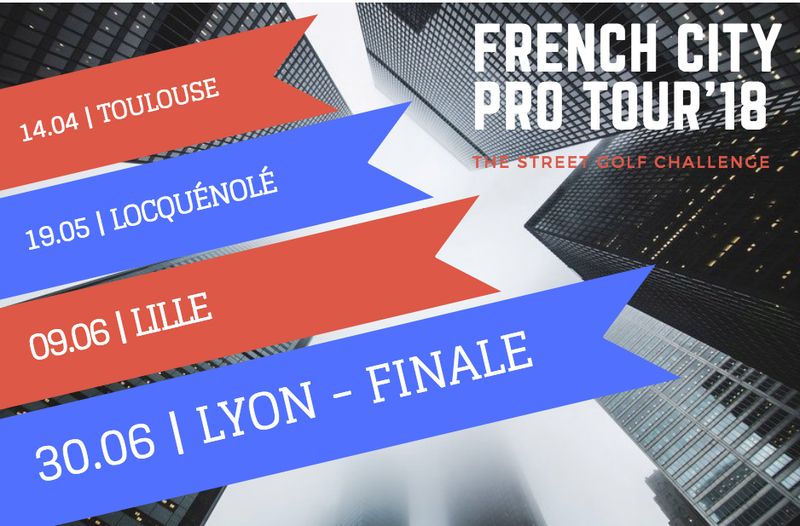 S.G.A.I.G is the 1st step of the French City Pro Tour 2016, the only national championship of street golf in the world. - Drink stand - "Buvette"
- Street Golf Party !! More info to come. Save the date, don't be late! The highest Cross golf tournament in Europe! At 2020 meters altitude, the air is thin and the thirst is great. It goes back across the slopes Kühtai. 100% fun, a real spectacle made y Crossgolf Porngolfer Club, be there!